A member of a fabulously rich family, Cornelia Von Hessert was born with the proverbial silver spoon in her mouth. She was materially well covered – but everything else in life proved to be anything but milk and honey for the heiress. Difficult parents, an unhappy marriage and several family tragedies marred her early life, but she survived it with stunning resilience to finally find solace in a satisfying marital life with her last husband. Cornelia Fitch Baekeland was born on November 6, 1919, in Denver, Colorado, to George Washington Baekeland and his wife, Cornelia Fitch Middlebrook, the eldest of three children. Her younger brothers were George Middleton “Brooks”, born on February 7, 1921, and Frederick Baekeland. The Baekelands were a insanely rich family, and the reason was Cornelia’s grandfather, Leo Baekeland, a Belgian chemist who invented Bakelite. Bakelite was the world’s first plastic, used in everything from radios and records to artificial limbs and atomic bombs. At the time of her birth, Cornelia’s father was studying to become a geologist at the Colorado School on Mines. He attended Cornell University for two years before serving in the Air Force in WW1. during this time he met Cornelia Sr. and married her. He served in Italy during the war. George was a strict, mercurial man, and like many of his class he was basically a shallow man, born in the wrong time and place. He was very capable in some matters (he was adept at handwork) but totally hopeless in the matters of emotion and heart. Despite their initial love, he never felt any real rapport with his wife. The emphatic, naturally romantic Cornelia suffered for the great part of the marriage. One winter, during a sojourn in Florida, Cornelia fell in love with Penrose Halliwell, a noted socialite. Penrose was married, but that did not stop Cornelia from divorcing George and becoming his mistress. That happened in 1935. She had to give up custody of the children, and lived on 3 000$ of alimony a year. Penrose was already married and thus could not marry Cornelia before his wife died – so she lived as a bachelorette and was admired by many men. Cornelia was a famous beauty, but also a difficult, “prima donna” personality. Yet, Cornelia Jr. and her brothers were utterly devoted to her, and when their father remarried, were pretty hard on their new stepmother at first. They mellowed after some time, as the new stepmom was a gentle, beautiful woman with a great ear for music. Little Cornelia was a beautiful child with a wonderfully developed imagination. She was full of potential and flourished in boarding schools, developing her skills in the arts, but her father, set in a very old-fashioned thinking set, deemed Cornelia’s education irrelevant to her overall station in life, and demanded she return home from boarding school after graduation. This left an lasting impression on her, as she felt her wings were clipped – and predictably, she married the first man who offered her marriage just to run away from such a domineering father. Cornelia allegedly studies law for a brief time before setting into the socialite life. However, her highly active nature propelled her into the modeling industry. 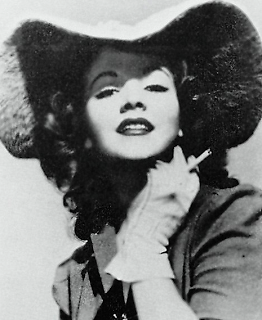 Then in 1943 she was summoned to Hollywood to act in Cover Girl. 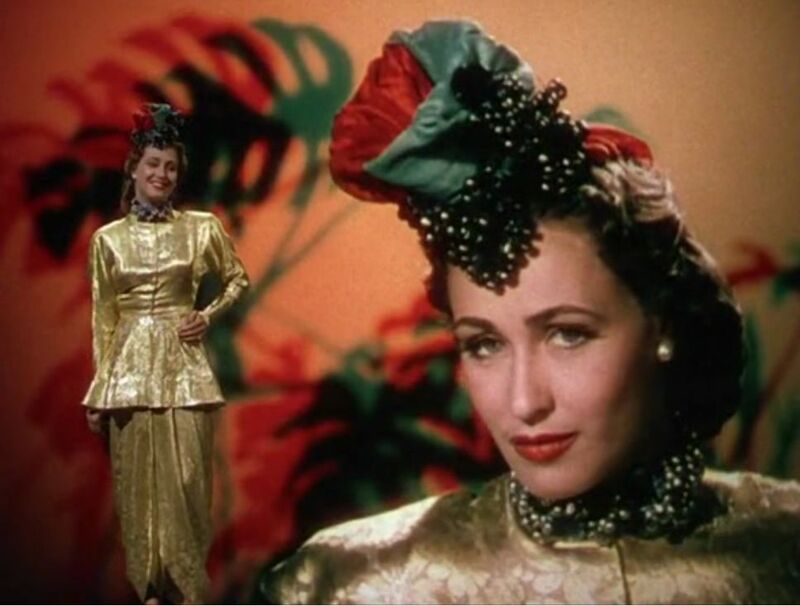 Her first credit is Cover Girl, a now classic Rita Hayworth/Gene Kelly Technicolor musical. While today remembered primarily a springboard for the two stars (Gene Kelly, loaned out from MGM; finally got the treatment he deserved at his home studio after this movie, and Rita crawled out of the B movies and supporting roles in A movies and got her due with Gilda and other great movies), it’s a fun, sweet movie nonetheless. Rita is simply enchanting, and Gene, while his character is somewhat of a jerk, redeems himself with his superb, athletic dancing. A great and breezy way to pass an hour and a half! Cornelia was one of 14 cover girls who appeared in it. The others were Betty Jane Hess, Eileen McClory, Dusty Anderson, Jinx Falkenburg, Cecilia Meagher, Anita Colby, Francine Counihan and so on. Cornelia did not need to appear in any more movies, and she never did. Being beautiful and an heiress, Cornelia was a sought after marital prize. And a big plus to the ardent pursuers was the fact that Cornelia wanted to get far away as possible from her father , as soon as possible. She married her first husband, Gerhardt Von Hessert on June 7, 1939, when she was just 19 years old. Hessert was born, with the title of Baron, on August 18, 1906, in Germany. He was a successful bobsledder, even participating in the 1932 Winter Olympics. Their son Christian Hendrich was born in 1941. They lived in Ridgefield, Connecticut, in a wealthy community. Sadly, the marriage did not work, and they divorced in the mid 1940s. Hessert died in 1994. Hanns, handsome, dashing and loaded with European charm, came out of nowhere to become a major power broker in the investment banking world. The couple lived where Hanns’ business took them, but ended up in Tarrytown, New York, where Hanns purchased an apartment building block. In March 1961, despondent over his failing health, Hanns committed suicide by jumping off the roof of one of the buildings he owned in the Bronx. He left a note indicating that he had no financial woes but rather health ones. Cornelia married her third husband, Giovanni Bagarotti, on June 12, 1964. The Rev. Gregg Brewer of the Christian Com­munity Church in New York performed the ceremony at the home of the bride. Bagarotti, born on July 9, 1899 in Italy, was a famous violinist and well-known interpretation of Johannes Brahms , Ludwig van Beethoven , Wolfgang Amadeus Mozart , Johann Sebastian Bach and many more. 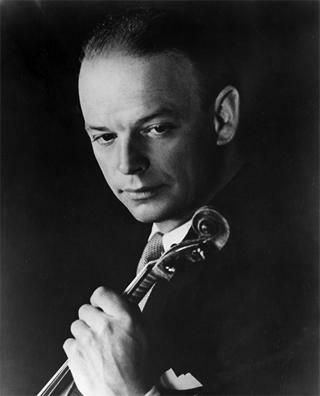 He was a friend with the famous pianist Edwin Fischer and often played with him. He was active mostly in New York but lived in Seal Harbour, Maine. He was married once before to an American-born woman, but she died in the late 1950s. Cornelia’s family became a center of a huge scandal in 1976. But first, let’s go step by step. In the early 1940s, while still married to Von Hessert Cornelia introduced her younger brother Brooks to Barbara Daly, a beautiful New York model. Brooks was a handsome but conceited young man, allergic to any kind of work and fashioning himself a writer. Barbara came from a problematic background. Born and raised in Boston, her mother Nini had had a mental breakdown a few years before Barbara was born. In 1932 when she was aged 10, her father Frank committed suicide by carbon monoxide poisoning from the exhaust of his car in the garage. After the life insurance payment had been collected, Barbara and her mother moved to New York City, taking up residence in the Delmonico Hotel. Becoming a young socialite, Barbara was hailed as one of New York’s ten most beautiful girls, gaining her regular modelling contracts with Vogue and Harper’s Bazaar, and resultant invitations to high society parties, allowing her to date various wealthy admirers. She also suffered mental health problems like her mother, and was a private patient of psychiatrist Foster Kennedy. Their highly dysfunctional marriage was a roundabout of ups and downs, always with a bottle of champagne in tow. But the couple had fabulous friends, and their boozed-up bacchanals in Manhattan and Paris attracted bright stars from the world’s roster of hip bourgeoisie: Greta Garbo, Tennessee Williams, William Styron, Yasmin Aga Khan, and a myriad of aristocrats. When Tony is still a boy, the family takes up a gypsylike existence, flitting to and from East Hampton, Cadaques, Zermatt and other resorts. When Tony is 22, Brooks runs away with the only girl Tony has ever brought home. Mother and son unravel. Barbara falls into a boozy ”look of old furs and feathers – like a Jean Rhys character,” has affairs (and a hysterical pregnancy) and, we are told, in a campaign to wrest him from his homosexuality, sleeps with Tony. Tony takes drugs, attacks his mother at least twice and, in 1972 in London, stabs her through the heart with a kitchen knife. He is put in Broadmoor, a Dickensian English hospital for the criminally insane. In 1980 he is freed and returns to New York, where he commits another hair-raising crime and meets a macabre demise. Tony killed himself in 1981, while still in the psychiatric ward. He tried to kill his 87 year odl grandmother, Nina Daly, just several months before. What a sad, sad story. It was later made into a movie, called Savage Grace, with Julianne Moore and Eddie Redmayne in the lead roles. Luckily, Cornelia escaped the whole sordid business and lived quietly with her husband in Tarrytown. Their was a happy marriage, and it lasted until Baragotti died on June 18, 1994, at the age of 94, in Tarrytown. Cornelia’s only child, son Christian Von Hessert, died on April 1, 2001, in Canada. Except Cornelia, he was survived by his wife, Donna Christine Smith and their three children. In the new millennium, many of Cornelia’s belongings were auctioned off at prestige auction houses like Sothersbys. Cornelia Bagarotti is still alive and lives in Tarrytown, New York.